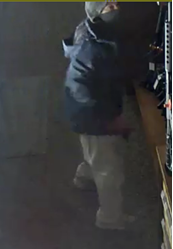 The Ottawa Police Service West Break and Enter Unit and Crime Stoppers are seeking the public’s assistance in identifying a male suspect responsible for a break and enter into a commercial business. On May 18th 2017 around 2330 hrs a lone male broke into a commercial business located in the 3000 block of Palladium Drive by smashing the front doors with a sledge hammer. 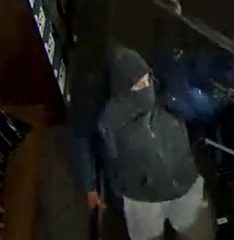 The suspect went to the firearms area and stole several firearms from behind the counter. The suspect fled the scene in a silver or white 4 door sedan, possibly a Chevrolet Malibu silver or white. 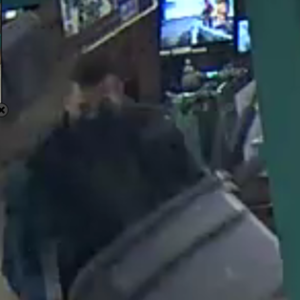 The suspect is described as follows: male, 20-35yrs, thin build, dark hair with shaved on the sides. Please see photos below of suspect and vehicle provided by investigators.